You may have noticed I have a small addiction to sunglasses. Give me oversized and slightly cat eye and I’ll be all over it. 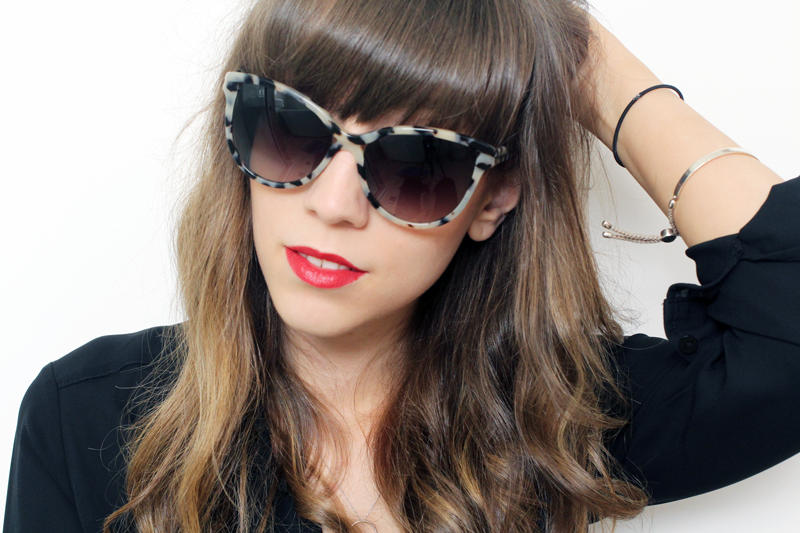 My favourites have been my Marc by Marc Jacobs ones (which I’m sure you’re all bored of seeing! ), my new Miu Miu’s and my RayBans, but these new babies have swept in and taken over the top spot. 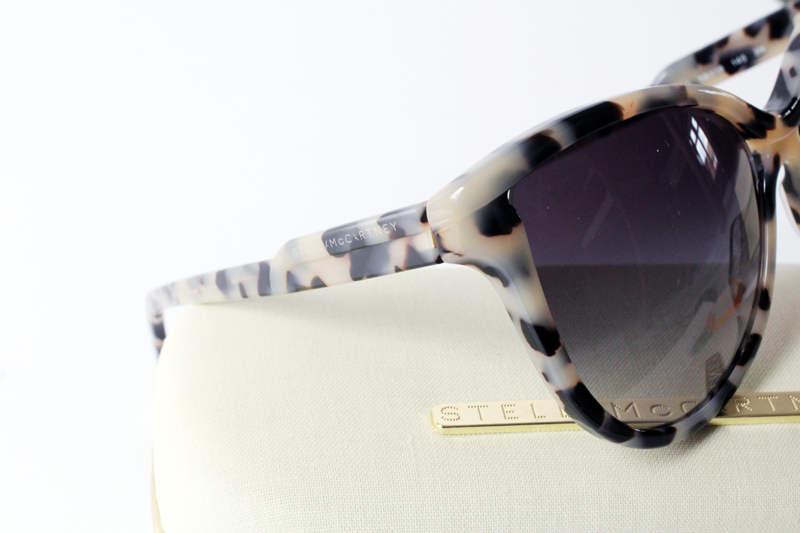 I’d been wanting these Stella McCartney Sunglasses* ever since I saw the beautiful Arabella in them on her blog and decided I wanted to try and be as chic as she is. Poodles and midi skirts aside, I snapped a pair up and feel like my collection has the piece it was missing. 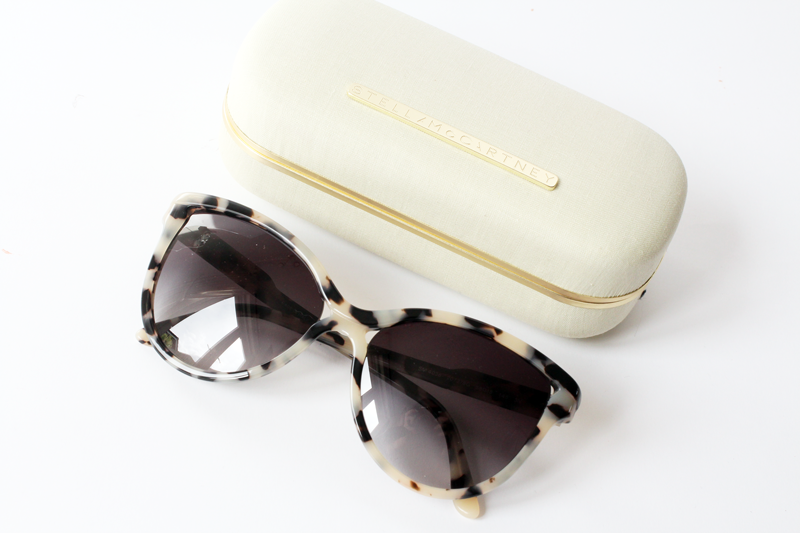 They’re the perfect shape, not too big or obnoxiously cat eye, so are accessible for every day use yet the leopard/tortoise print makes adds a bit of interest. The dark lenses match the pattern perfectly and I like the more subtle branding down the side. The case is really nice too, though quite bulky when you only have a small bag. All in all, they’re a pretty darn nice pair of sunglasses. I do love Stella McCartney as a brand, so am glad to have a little piece from her that I can wear year after year. What you do you think? 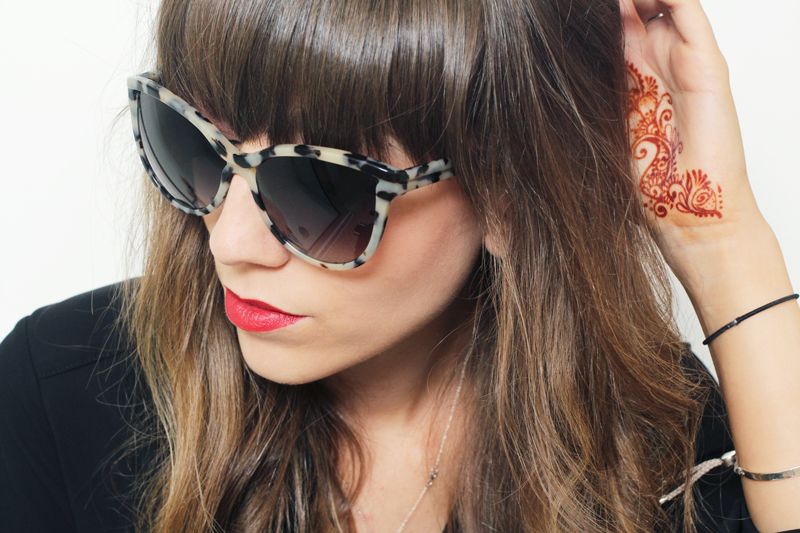 Make sure you check out my huge blog sale and £300 RayBan and beauty goodies giveaway! Previous Post TODAY: What Summer?